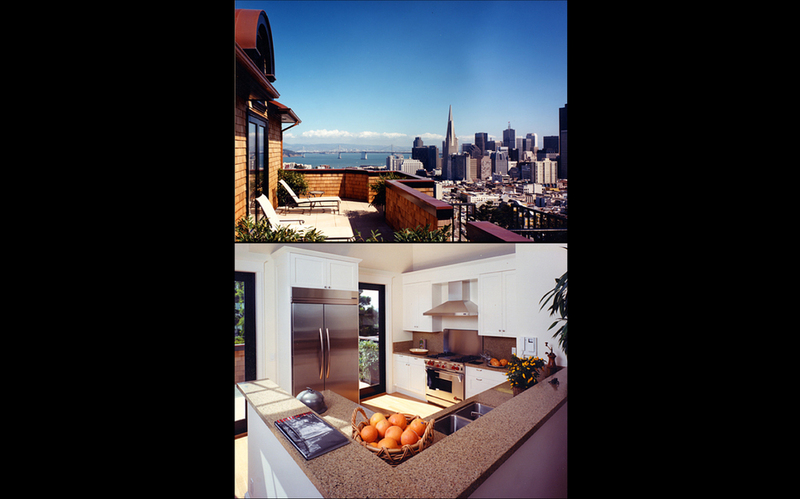 Completed in 1998, Russian Hill Summit is comprised of six luxury condominiums as well as a 22-car underground parking facility. Its adjacency to some of San Francisco’s most architecturally significant period homes shaped the aesthetic development of this project. The architect designed an exterior elevation to compliment the dense ‘pocket’ of historic Arts and Crafts buildings in the neighborhood. In contrast, the interior space invokes a slightly more contemporary vernacular which adheres to an expansive, “open” floor plan. In response to the broad design elements of this project, expert knowledge of traditional craftsmanship and contemporary engineering and detailing were employed.